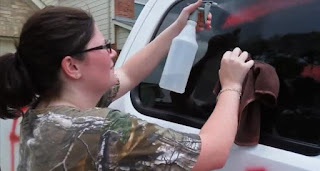 White Man's Pickup Truck Gets Sprayed With Racist Graffiti Due To Entertaining A Black Friend For The Fourth Of July!!!! 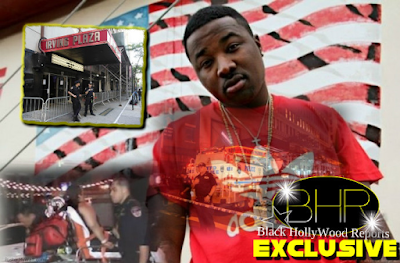 Due To Entertaining A Black Friend For The Fourth Of July!!!! 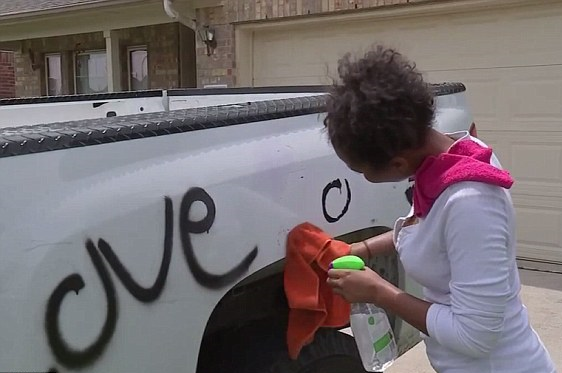 BHR Hollywood Reports.........A white family hosting a black friend for a couple of days found their pickup truck covered in racist graffiti on Friday morning, according to reports. Josh Joseph went to visit his good friends Darren and Hayli Frank in Spring, Texas, just north of Houston, for the 4th of July weekend. He never expected that he was going to be offending anyone in the neighborhood by doing so. For the record, Josh is black, and his friends are white. They were celebrating the holiday out in their front yard, and one of their neighbors likely saw their black guest. When they woke up the next morning, the Franks’ $50,000 truck was covered in racist vulgarities that the vandals had spray-painted. The Franks live in a pretty nice neighborhood. They never thought that they would be the victims of a hate crime, especially not in their area. But, as people are finding out, racism is everywhere, including places you’d least expect to find it. Even though the Franks lived in a decent area overall, Texas is ranked as the most racist state in the nation, with more KKK chapters residing there than any other state in the nation. 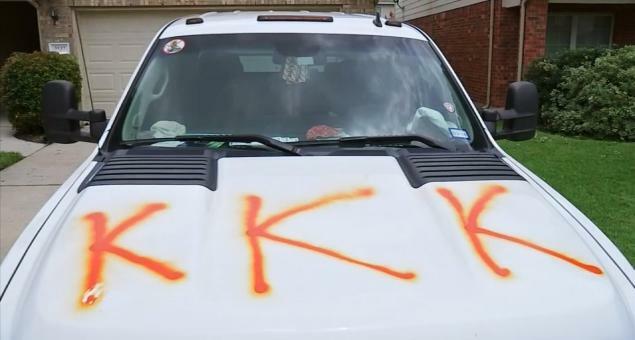 The family reported the vandalism to deputies in Harris County, according to Reports. Friends and relatives dropped by on Friday to wash off the truck, but they left the word “love” intact in one section of the truck where it had been scrawled, Reports reported.